One of the first things we did on the boat was to upgrade the 12 volt DC system. We expanded the house battery capacity to 630 amp hours, added an Ample Power EMON-II battery monitor, installed a dedicated starter battery, added a new 12 volt circuit breaker panel to accommodate additional electrical circuits, and completely revised the 12volt wiring on the boat. 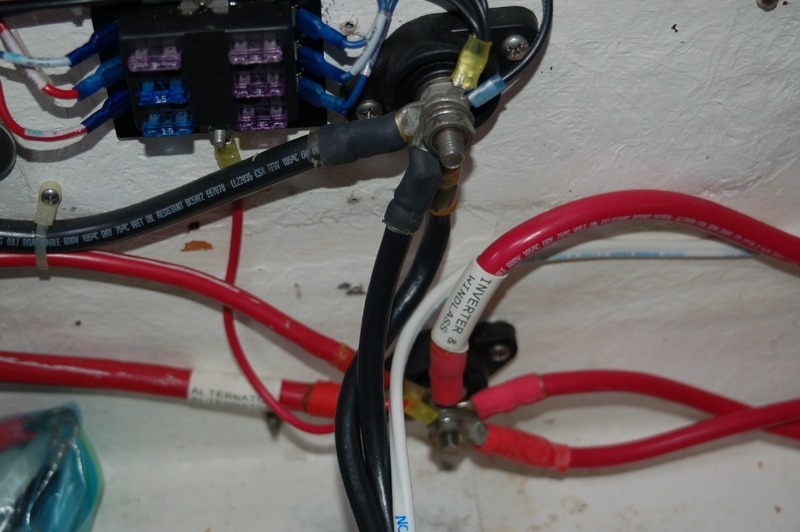 We wanted the boat power, as much as possible, to be 12 volt DC without the need to invert to 110VAC. We also wanted a good battery monitor system and after looking at lots of different monitors we purchased and installed the Ample Power EMON-II H1. Luckily the battery compartment on the Island Packet 350 was large enough to accommodate 6 Lifeline GPL-31 (105 AH) AGM batteries. The addition of a dedicated starting battery was made easier with the Lifeline GPL-1400 hybrid starting battery. We built in a new battery mount in the aft most under berth compartment. We also installed an add on 12 volt breaker panel that we obtained from the Island Packet OEM supplier (Paneltronics). 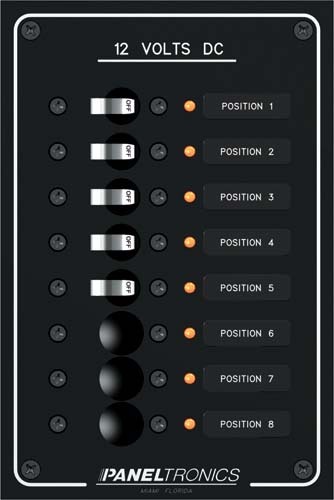 We configured the panel with circuits for the remaining DC devices that we eventually planned to install on the boat. 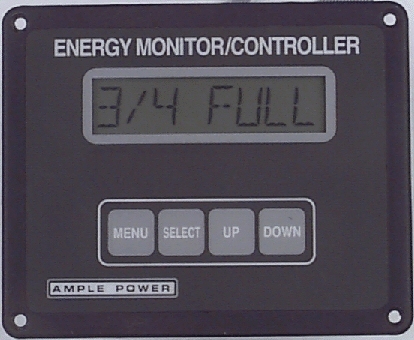 Control of the higher current devices, the Water maker and Windlass, were implemented with the use of high current power relays remote from the new power panel. Rewiring of the DC system included installation of new battery switches: House battery on/off, Starter Battery on/off, and an emergency engine start battery switch. The rewiring included primary 12 volt positive and negative distribution terminals and a DC ground buss.